Luke Skywalker was always an inquisitive fellow, particularly in in his big screen debut in Star Wars: A New Hope. But after watching this new supercut of Luke's most questionable dialogue from the 1977 classic, it seems as if Luke had more than just a couple of questions during that first film's events. See for yourself, in the video included below. In the course of a minute and a half, RocketJump Film School has compiled most of Mark Hamill's dialogue from Star Wars: A New Hope into a clip reel that makes our hero Luke Skywalker look like a bratty kid who likes to question everything. Gone is the hero that, while a little wet behind the ears, was a strong young man; and in his place is a kid who seems like he couldn't pilot a T-16 Skyhopper, much less the X-Wing starfighter that took out the first Death Star. Strangely enough, watching Luke Skywalker ask so many questions in a row reminds us of how we felt the first time we met his father, Anakin, in Star Wars: Episode I – The Phantom Menace. Part wild-eyed adventurer, part babe in the woods, and all brazen, starfighting luck, Anakin and Luke look rather similar when boiling down the son's role into something that resembles his father's origins. If anything, removing the more poignant moments of Luke's story arc reminds us all too well of where George Lucas went wrong with his continuation of the Star Wars galaxy. Of course, much like the entirety of Luke Skywalker's debut, the origins of Daisy Ridley's Rey provide a much richer experience than that of the Star Wars prequels. Even better still is the fact that, to our knowledge, Rey never asked as many questions as Luke did back in his day. Sure, she had a fair amount of questions she wanted the answers to, but instead of having her character asking those questions outright, Star Wars: The Force Awakens trusts Rey to address such questions through actions and more overt means. Out of all three trilogies, Rey's is the story that shows rather than tells. If the Star Wars saga is known for anything, it's know for its mysteries; and with the franchise continuing into the coming years those mysteries will only deepen with each passing installment. An eventuality that only puts a finer point on just what keeps the series fresh after all this time. 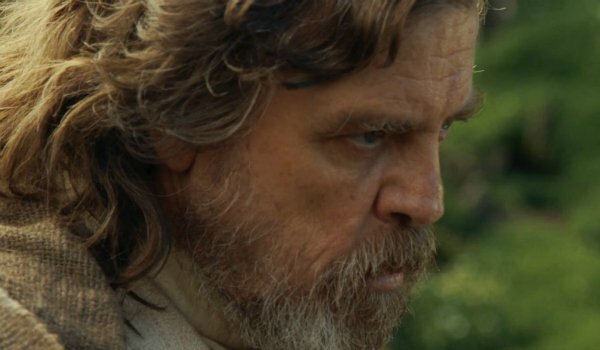 Luke Skywalker is about to become a MAJOR part of next year’s Star Wars: Episode 8, and we already know a LOT about how the franchise plans to use him. Some of it might be considered spoilery, but if you are up to date on Star Wars, you are going to want to hear all about this. At the end of Star Wars: The Force Awakens, Rey (Daisy Ridley) pilots the Millennium Falcon to Luke Skywalker’s hideout. She hands the Jedi Master his father’s lightsaber… and the credits roll. So what do we know about Luke in the next movie? AND, we just heard this tasty rumor about a badass Luke Skywalker scene from Episode 8. Read it if you dare!